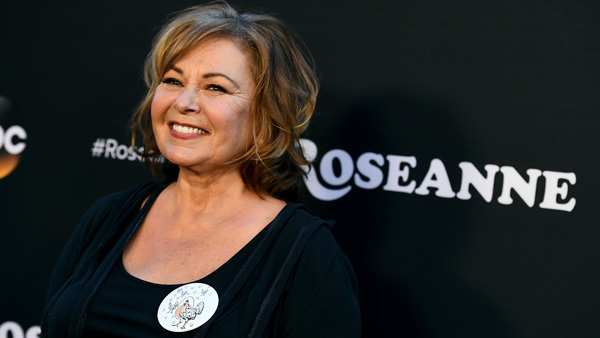 NEW YORK -- President Donald Trump reached out to Roseanne Barr to congratulate her after her ABC sitcom reboot drew 18.4 million viewers. Speaking by telephone Thursday on ABC's "Good Morning America," Barr said the call was "pretty exciting." She described the exchange as a "friendly conversation about working in television and ratings." Barr, who said she has known Trump for years, is a political supporter of the president's. Her revamped sitcom tackles current politics, with Roseanne embracing Trump, and clashing with her sister, a staunch opponent. Barr said Trump was happy for her. She said, "I've known him for many years and he's done a lot of nice things for me over the years." During a Q&A session with television critics earlier this year, Barr said, "It was working-class people who elected Trump. So I felt that was very real, and something that needed to be discussed." She added that the same holds true for "people actually hating other people for the way they voted, which I feel is not American. And so I wanted to bring it (the series) right down the middle, and we did," said Barr. She added that she's not an apologist for the president and doesn't agree with all he's said and done. "Roseanne" returned on Tuesday, more than two decades after the original ended its hit run. The hour-long debut episode was watched by 10 percent more viewers than saw the May 1997 finale of ABC's original "Roseanne." A special look behind the scenes of the revival of Roseanne - 20 years later!